Excite and engage customers with a real-time digital experience. Visualization is the fastest and most intuitive way to quickly verify a design, measure distances, and check details before finalizing the design. Assembling components from scratch into a 3D design often requires repetitive viewing of the draft, while choosing from available options. This process can be frustratingly slow, and cumbersome. Certusoft Real-Time 3D Renderer makes the design experience fast and enjoyable. It assembles components automatically from the raw CAD files using CLIK-Assembly. Different options can be quickly tested and viewed in just a few seconds in a web browser. Designs can also be exported into major CAD software packages. 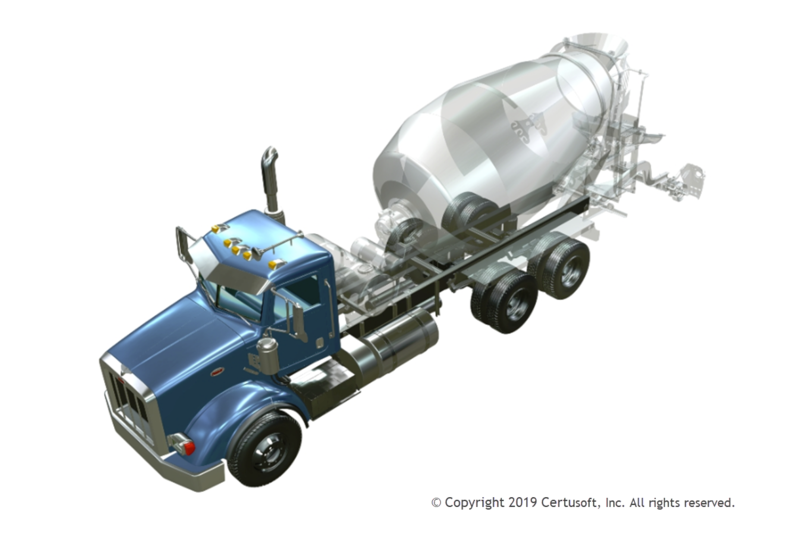 The Real-time 3D Renderer makes use of powerful GPU servers hosted in the Certusoft Vertical Cloud, and it is fast on any platform, including smart phones and tablets with limited wireless bandwidth and data. Client-side 3D visualization is optimized for minimal download size. Visualization on smartphones and tablets does not consume a significant amount of wireless data. Unlike client-side rendering such as WebGL, mesh data is never downloaded, only the finished image, which may be 100 KB. Easily embed into existing websites.